pastel. 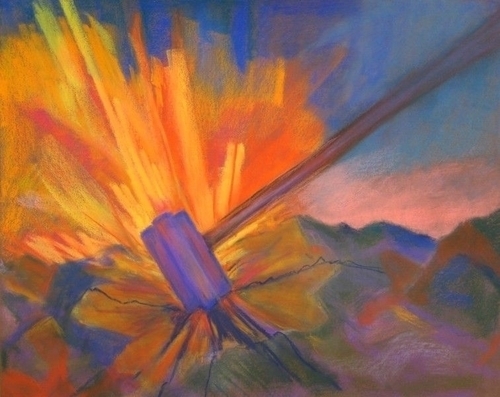 An expressionistic interpretation of Jeremiah 23:29: "Is not My word like a fire? says the Lord, and like a hammer that breaks the rock in pieces?"